July 4th, Carlow, Ireland – Blacknight are starting summer off by letting the .CAT out of the bag. Award winning Irish domain registrar Blacknight (http://www.blacknight.com) is running a super summer promotion on .CAT domains. The promotion runs on a first come, first served basis as the next 300 .cat domain names to be registered via Blacknight will be available at the discounted price of €9.99. The regular price of a .CAT domain is €29.99. The special low price is ONLY available for the first year .cat domain name registrations. .CAT is the Internet extension for the entire Catalan linguistic and cultural community. Only registrants who belong to the Catalan community may apply for .CAT domains. The extension has been in use since 2006. The main prerequisite to registering a .cat domain is that there is an intention to use Catalan on the website, however, Catalan does not need to be the primary language of the website. There is a 6 month deadline in place by which the website should be using Catalan. 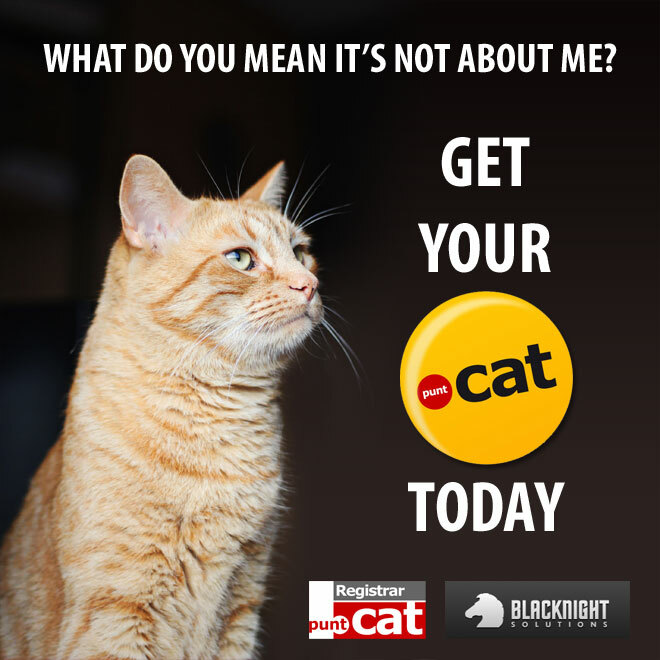 Visit http://www.blacknight.cat to register a .CAT domain today and take advantage of a €20.00 savings.